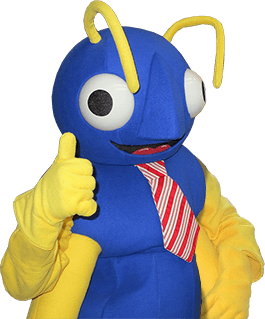 Big Blue Bug, formerly known as New England Pest Control, has been proudly serving Paxton, as well as communities throughout Massachusetts, Rhode Island, and Connecticut with the very best in residential and commercial pest control services. Since 1935, we have effectively gotten rid of termites, ants, mosquitoes, bed bugs and many other problem pests with quick and efficient pest control methods and techniques, paying close attention to ensure we have not only eliminated your pest, but put into place preventative measures to keep them from returning. If your Paxton home or business is in need of professional pest control, you can count on Big Blue Bug to deliver the very best in pest extermination. As one of the most destructive pests found in the Paxton, termites cost nearly 5 billion dollars annually in damage to homes and businesses throughout the United States. Termites are small, white to nearly translucent wood consuming insects that silently eat tunnels and galleries within the wooden structure of your building sometimes over many years. Termites do not bite, sting, or carry disease, but they can indirectly pose dangers to humans by weakening building’s structures. As difficult as termites are to detect, they are even harder to eliminate. If you have noticed any of these signs of termite activity, contact Big Blue Bug Solutions and let our Paxton termite exterminators resolve your termite issue today! If you think you may be suffering from a termite infestation or if you just want to be proactive against future termite infestations, contact our Paxton office and schedule an appointment today! For more information on our termite control or any other pest control service we offer, contact Big Blue Bug Solutions today!